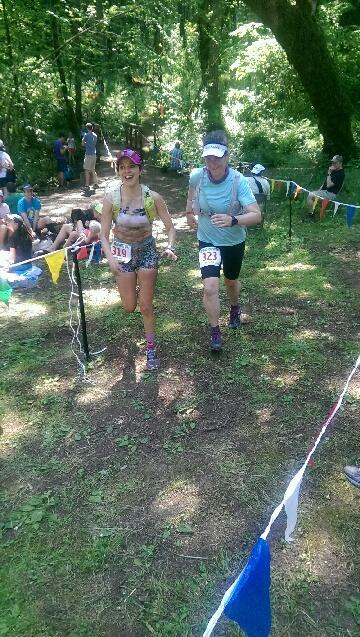 Ana Lu and I, Mac 50K 2015. Photo credit, Josh Gum. This past two weeks… My brain handed me an a$$-whooping. I have been in a battle with my brain. BIG. TIME. And it was clearly winning. Hands down this past 10 days or so have been the most mentally grueling days of running that I have had so far. When you look at my Garmin/Strava – whatever would float your boat and give you information about my running – things looked pretty normal. I can assure you my brain was NOT normal. I had a run a little over a week ago that left me feeling profoundly embarrassed. I won’t go into details, because the more I actually spend time sorting this thing out, the more I realize it is NOT about the details. It was entirely about how I reacted and the things I allowed my brain to latch onto and the things I kept telling myself that just weren’t helpful or true. A single run left me feeling embarrassed, humiliated and sad. And I let it get to me. I let it beat me down for over a week. The next couple of runs following the ‘incident’ were horrible. Run a little. Stop and cry. Run a little. Walk in a crying tantrum. Run totally pissed off at myself and then stumble along crying in anger. 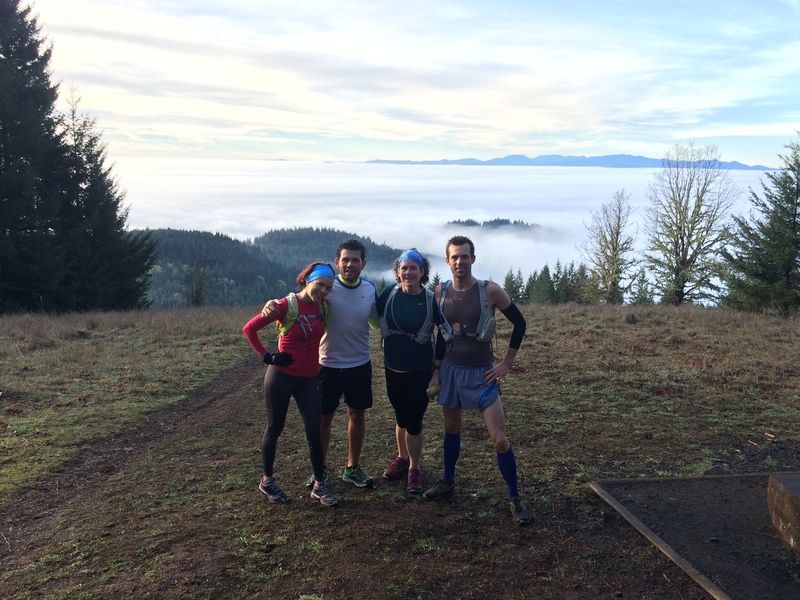 I was oddly even more grateful in those moments that I run trail. At least there were no human witnesses. I had a recording of things running through my mind that were mean, uncharitable, nasty. And I was listening to them intently. And I was crying. A lot. I’m just not a crier. That reaction alone was bewildering and confusing to me. I had lunch with my friend Ana Lu the other day. I was explaining all of this; the process, the aftermath, some of my conclusions. I asked her what she did when/if she found herself in such a state of emotional turmoil. For those of you who aren’t lucky enough to know Ana Lu, among the many great things about her; she is compassionate and unfailingly optimistic. The one idea she had for me – that I think was particularly brilliant and helpful – was to build myself a ‘life raft’. She said I should use one or more of those ideas as my ‘life raft’. She also told me I should blog about all of this. Not just because of the running aspect. She argued, that no one really talks openly about this side of the lifestyle change process. It took me about three days after the ‘incident’ to realize that running was simply the trigger for this current emotional upheaval. A conversation with my coach is what really helped me start to recognize and understand what was going on. Ana Lu saw it too and she’s a good enough friend that she gently called me on it. This wasn’t about running at all. This was about self doubt. Fear. Lack of confidence. Shame. A distorted body image. This was about the work that NOW needs to be done to help my brain catch up with where I’ve taken my body and my life. And I think running is actually going to prove to be the perfect tool to help me figure this all out. The maintenance portion/cementing lifestyle part of this whole journey is actually, statistically, harder than losing the weight. Quick side note. Having been an overweight, chronic-dieter all of my life – I’ve always heard the idea about losing weight being the easy part… Quite honestly I thought people were totally full of crap when they said that. Losing 220 pounds and reversing T2 diabetes was freaking HARD, relentless, scary work. But now? Now that I’m at a solid weight, eating healthy, staying active and focused on keep my weight within a healthy range… Turns out… They weren’t really full of it. This ‘staying where you are’ stuff, holding strong to new lifestyle pieces you fought to reach, processing through the mental pieces that led to being almost 400 pounds after 40+ years? This maintaining stuff is complicated and hard. Ana Lu told me that statistics showed that once someone reaches their goal (whatever that lifestyle goal/shift/change may be) they are way more likely to bask in the glow of achievement for a short period of time and then quietly and slowly relapse into old habits. Turns out that maintaining lifestyle changes is not the norm; it’s statistically not how the story ends for most folks. NOW I continue the hard work of hanging onto my lifestyle and really learning about my new life as it works day-in and day-out. And continuing to diligently pitch some of the old crap – as I find it – out of the boat along the way. I loved my old life and I love my new life. Thanks to Ana Lu’s idea, I now have a teeny-tiny emergency life raft cobbled together. It is anchored close by and ready to go for the next run. Ana Lu, Carlos, me and Spencer. Dimple Hill.